BLOOMINGTON, Ind. -- The National Science Foundation has allotted $1.1 million in funding to two Indiana University-led research projects in environmental science. 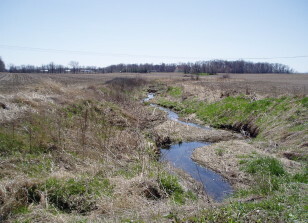 Midwestern large-scale agriculture practices have changed the original hydrologic patterns and processes in watersheds, leading to undesirable flooding and water quality impacts. According to the NSF, the foundation is funding seven awards under its Environment, Society and Economics (ESE) umbrella to foster collaboration among geoscientists and social scientists to address crucial issues for the environment, society and the economy -- and how the three affect each other. The awards will factor valuation of "ecosystem services" into economic activities in a way that provides critically important information about land and water use. Only Indiana University and the University of North Carolina are represented twice among the seven grant projects' principal investigators. IUPUI environmental scientist Meghna Babbar-Sebens is receiving about $410,000 over three years to study water management practices in Indiana's Eagle Creek Watershed for the purpose of designing more efficient upstream water management systems on agricultural lands, in response to local climate variability and even long-term climate change. Babbar-Sebens is working with IUPUI computer scientist Snehasis Mukhopadhyay and Purdue University agricultural economist Edna Loehman. The title of their project is "Spatial Interactive Optimization for Restoration of Upland Storage in Watersheds: Community Participation in the Design of Distributed Practices and Alternatives." 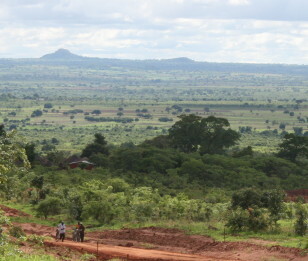 Agricultural areas are distributed among various topographic zones in southern Zambia. IU Bloomington geographer Tom Evans is investigating how farmers cope with drought and other hardships. IU Bloomington geographers Tom Evans and Scott Robeson will be studying farmers' interactions with their local environments and how they survive periods of drought through different types of coping strategies. Their work is being conducted in Zambia, where drought frequently causes food shortages and future climate variability may have dramatic impacts on human welfare. About $350,000 of the $700,000, three-year grant will come to IU; the other half will be disbursed to Evans and Robesons' collaborator, Princeton University environmental scientist Kelly Caylor. The title of the project is "Spatial Resilience of Agriculturalists to Coupled Ecological and Hydrological Variability in Rural Zambia." Evans is also director of the Center for the Study of Institutions, Population and Environmental Change. The center is administered by the IU Office of the Vice Provost for Research. To speak with Babbar-Sebens or Evans, please contact David Bricker, University Communications, at 812-856-9035 or brickerd@indiana.edu.